Our Customer Care Team is here for you. We want you to have a travel experience that you’ll remember for its many pleasures, not hassles. 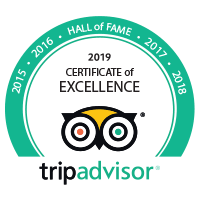 So, please feel free to contact City Wonders as you plan your trip – before you book – with any questions or concerns you may have about our tours and services. We will provide all the information you need to choose the perfect, most enjoyable tour for you, your friends, or family members. We may already have answered your questions – for example about our refund policy - in our Frequently Asked Questions section. If we haven’t anticipated your questions, please don’t hesitate to call us, and we will respond immediately. You can also complete the form, and we will respond within 48 hours. City Wonders accepts the following credit cards: Mastercard, Visa, American Express. Canceling a booking with City Wonders can result in cancellation fees being applied by City Wonders, as outlined below. When canceling any booking you will be notified via email of the successful cancellation and cancellation fees incurred.